When I remember the Titans, I don�t think of 2000�s Remember the Titans. Instead, I flash back to my senior year of high school. I went to Robinson, where we usually featured good squads but always suffered in the shadow of the perennial powerhouse from TC Williams. The two schools played yearly, and we usually wound up on the losing end. During my senior year, however, it looked like things might be different. Both our Rams and the Titans were very highly rated, and when they met in the fall, it seemed possible we might be number one. Alas, it was not to be. I had a bad feeling that night when I saw the Williams players leave their bus. They chanted, �Who we gonna beat? Robinson!� but I thought they were yelling, �What we wanna eat? Raw meat!� Williams had a reputation as a tough school in many ways, and those of us at more affluent Robinson were definitely intimidated by this. I don�t know if our football players felt the same way, but the end result was unmistakable. The Titans mopped the field with our dudes and went on to yet another championship. As for the Rams, I don�t recall how the season ultimately concluded, but at least our best player - running back Chris Warren - went on to a respectable career as a pro. Nonetheless, I�ve been here my whole life, so I retain a certain perspective on the region. Although Titans gets things horribly wrong in regard to it depiction of the area, it still offers a rousing and enjoyable tale of racial tolerance and unity. First, let me just get my spleen-venting out of the way: Titans makes Alexandria, Virginia out as some backwater southern burg. One of the first statements in the film relates that in our fair state, high school football is a virtual religion. That may well be true for areas farther south, but make no mistake: Alexandria is in northern Virginia. Our region is very different from much of the rest of the state, as we�re a suburb of Washington, DC. You�d never know that from Titans, which leads one to believe that Alexandria was a sleepy town far from anywhere. Fact: TC Williams High is 10 miles from the White House. At no point does the film let you know that you�re so close to the center of the nation, as it prefers to create an impression of the small-town south. Alexandria was definitely less well-developed 45 years ago, but it wasn�t like this. I guess the filmmakers felt they needed to create a more isolated location for the movie to work. I don�t agree, but I was able to ignore the radical departure from geographical reality and enjoy the movie nonetheless. Titans looks at the first year of busing and forced integration at Williams. Not only the students are shoved together but also the football coaches - headed by long-term leader Bill Yoast (Will Patton) - are disrupted by the introduction of new head coach Herman Boone (Denzel Washington). Although this demotion nearly causes Yoast to leave Williams, Boone convinces him that he needs his help to quell the racial powderkeg ignited by the combination of white and black teammates. Inevitably, the two sides start out as enemies, but also inevitably, they learn to respect each other and come together as a team. Led by black Julius �Big Ju� Campbell (Wood Harris) and white Gerry Bertier (Ryan Hurst), the squad unites and becomes a nearly unstoppable force. Things aren�t quite so simple in the real world, but eventually most of the townsfolk take their cues from the coaches and the players and learn to get along with each other. There�s not an original moment to be found in Titans, as we�ve all seen this kind of film many times. Essentially the plot follows the battles fought by the team both on and off the field as intolerance continues to be a problem, but the whole thing wraps up fairly neatly in the end - a little too neatly, perhaps, but it still comes to a satisfying conclusion. When you see the name �Jerry Bruckheimer� on the marquee, you know the production will lack ingenuity but you�re usually assured that you�ll find a reasonably entertaining piece, and that definitely was the case with Titans. Actually, this movie deviates slightly from the usual Bruckheimer formula in which he casts a slew of big-name actors to give the otherwise-slight stories some credibility. Washington was clearly the only box-office �name� found in Titans. After Patton, the only easily recognizable performer in 2000 - to me, at least - was Nicole Ari Parker. She plays Boone�s wife and is best remembered - by me, at least - as Becky Barnett in Boogie Nights. Some of the other actors looked familiar - Hurst appeared in Rules of Engagement, while Ethan Suplee was in a few Kevin Smith flicks such as Mallrats and Chasing Amy - but otherwise this was a roster of unknowns. �Was� is the operative term here, as some of the actors went onto bigger, better things. Ryan Gosling turned into a major star, and others like Donald Faison, Hayden Panatierre and Kate Bosworth went onto good success. If forced to pick a standout, it�d be Hurst, who offers a rich and varied portrayal of Bertier. He makes him a strong leader but also develops his emotional status in a natural and believable manner. In any case, none of the supporting actors do a poor job, and they all provide nice performances. Another good turn comes from the youngest co-star, Panettiere. Although not a recognizable face in 2000, her voice may sound familiar, as she appeared in two Disney animated flicks: 1998�s A Bug�s Life and 2000�s Dinosaur. For the most part, I can�t stand child actors, and her role as Yoast�s daughter Sheryl possesses great potential to become annoying. Young Sheryl is more football-obsessed than her dad, and she�s free with her opinions. Panettiere makes the character forceful but not obnoxious, and she delivers a consistently amusing highlight. Director Boaz Yakin does little to alter the standard Bruckheimer formula, as the movie consists of lots of period songs integrated into a smooth and vivid visual production. The characters get enough play for us to remember them, but they receive no additional depth. Even the main characters - the two coaches, Bertier, and Campbell - aren�t terribly well-defined, as the movie prefers to keep things moving rather than develop anyone. Frankly, it doesn�t really matter. 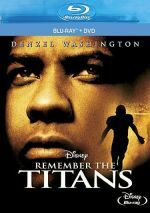 While Remember the Titans sticks to a fairly light and frothy presentation, it still offers a strong experience. We�ve seen this kind of material many times, but the spirit and enthusiasm behind the project are positive enough to make the film entertaining and moving. Remember the Titans appears in an aspect ratio of approximately 2.35:1 on this Blu-ray Disc. The image usually looked good but it came with some ups and downs. Sharpness was mostly solid, though wide shots could be a little iffy. Still, the majority of the image appeared fairly well-defined. I saw no issues with jagged edges or shimmering, and the movie lacked print flaws, but mild edge haloes popped up at times. The movie�s palette mixed amber and teal, with an emphasis on the green side of the latter. The hues worked fine within those choices. Black levels seemed deep and dense, and shadow detail came across as appropriately heavy but not excessively thick. The edge haloes and occasional softness left this as a �B-� presentation. As for the PCM Uncompressed 5.1 soundtrack of Remember the Titans, it featured a mainly forward-oriented soundfield that worked well within those confines. The audio spread neatly to the front side channels and the track created a realistic and moderately lively environment in which the audio blended well and moved cleanly across speakers. As for the surrounds, they played a moderate role in the production. As a whole, the rear channels tended toward modest reinforcement of the forward track. Titans wasn�t the kind of movie that really needed active surrounds, and it used the rears acceptably well. They were reasonably involving during the football scenes. Audio quality appeared strong. Dialogue came across as nicely natural and distinct, with no edginess or problems related to intelligibility. Music was clean and bright, and effects appeared crisp and accurate. The latter worked especially well during the football games, at which time they showed good clarity and impact. Bass response added decent punch to the mix. Overall, this was a good track. How did this Blu-ray compare to the original DVD? Audio showed a bit more range and warmth, while visuals seemed cleaner and tighter. Even though aspects of the transfer semeed less than ideal, the Blu-ray still represented a step up in quality over the DVD. The Blu-ray repeats the original DVD�s extras, starting with two separate audio commentaries. In the first, we hear from director Boaz Yakin, writer Gregory Allen Howard, and producer Jerry Bruckheimer. All three men were recorded separately, and the results got edited together for this single coherent product. Yakin and Howard strongly dominate the proceedings, as Bruckheimer provides his standard, generic comments about his philosophies as a filmmaker. I�ve heard a lot of interviews with Bruckheimer, and they almost always come across the same way: mildly interesting but largely uninformative. Since Bruckheimer only takes up maybe five or ten minutes of the track, I don�t mind his presence. It helps that the remarks from both Howard and Yakin are uniformly compelling. Howard covers his interest in the project and he discusses the reality of the actual situation as well as a lot of the creative liberties he took with the history. Yakin concentrates more on the production process itself, and he adds a lot of solid information about that side of the coin. Ultimately, the commentary boasts deft editing and becomes an informative and entertaining program. By the way, I fekt happy to hear Howard at least gently acknowledge that Alexandria is close to DC, though he never dispels the notion that it was a small town. However, Howard does offer one odd statement. Howard relates - correctly - that Virginia lacks a pro football team, and he uses this fact as a reason for the alleged popularity of high school football. Unfortunately, this totally ignores the existence of the Redskins, a team that played less than 10 miles from TC Williams. The �Skins have been the passion of the DC area for many decades, and since Howard apparently lived around here at one point, he really should know that Virginians feel no lack of pro football spirit. As such, I don�t think residents of Alexandria circa 1971 glommed onto the Titans because they had no pro football allegiances. Taking its cue from similar tracks like the one with Jim and Marilyn Lovell on Apollo 13, we hear from the real-life versions of coaches Herman Boone and Bill Yoast. The two men sit together, though this doesn�t often seem apparent, as they interaction sporadically, which becomes a mild disappointment. Nonetheless, I find this commentary to provide a largely solid experience, as both coaches give us a lot of detail about their own experiences and their reactions to the film. We learn more about the facts of the true-life situation, and they add a nice perspective on the events in the movie plus their thoughts about coaching in general. It�s a very interesting track that definitely merits a listen. In addition, Titans tosses in a series of video extras. First up is an ABC TV special called Remember The Titans: An Inspirational Journey Behind the Scenes. Hosted by former football great Lynn Swann, this 20-minute, 55-second program offers comments from Bruckheimer, Yakin, Howard, Boone, Yoast, and actors Denzel Washington, Will Patton, Ryan Hurst, Wood Harris, Kip Pardue and Ethan Suplee. We also hear from 1971 Titans players Fred Alderson, Petey Jones, Robert Luckett, Lee R. Davis, and Julius Campbell. The involvement of those folks makes this show more entertaining than most. As a whole, it�s a superficial promotional piece that mainly tells us what a great movie Titans is, and we find an overabundance of movie snippets. However, it�s fun to see the old players, and the brief interview Swann conducts with Boone and Yoast is also well-done. Overall, it�s not a special piece, but a few elements make it pretty good. Next up are two brief featurettes. Denzel Becomes Boone lasts six minutes, 15 seconds while Beating the Odds runs six minutes, 20 seconds. Essentially, both of these are just extensions of the prior documentary. �Denzel� looks more specifically at the character of Coach Boone, while �Odds� goes into a little more depth about the genesis of the project itself. They use the same format found in the documentary and clearly come from the same interview sessions, so we even hear a few duplicated sound bites. �Denzel� features Bruckheimer, Washington, Boone, Howard, and Yakin, while �Odds� gives us Bruckheimer, Howard, Yakin, Pardue and Walt Disney Studios chairman Peter Schneider. They�re both light and superficial, but they remain acceptably informative. Lastly, we find a Deleted Scenes section. There are six excised clips, and they run for a total of eight minutes, seven seconds. One is actually an extended version of the �getting to know you� montage in which the players learned about each other, but all of the others are true cuts, and most of them focus upon Coach Yoast. Somewhat surprisingly, virtually all of the scenes become pretty entertaining. One particularly fun one rips off a segment originally cut from Terminator 2 that was restored in the film�s special edition. In that bit, the terminator attempts to smile. Here, we see Coach Boone encouraged to grin, with similarly humorous results. Unfortunately, it was shot poorly, so we can barely see the side of his face that bears the wrinkle. Nonetheless, it�s fun to see, and I like all of the deleted scenes. My only complaint is that we get no director commentary to discuss why they were left out of the final film. The disc opens with ads for The Game Plan, The Invisible, Ratatouille, and Wild Hogs. No trailer for Titans appears here. While Remember the Titans reinvents no wheels, it proves to be a spirited and energetic look at integration and race relations in the early Seventies. Some misrepresentations of my home area put me off, but even so, I think the movie becomes fun and compelling. 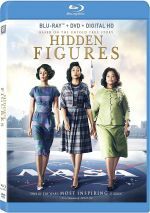 The Blu-ray offers mostly positive picture and audio as well as some informative supplements. This turns into a fairly good release for an entertaining fable.